When you store your bottles of wine properly, you not only help to maintain the quality of the wine, but you also help to improve the aroma, flavor and complexity of the wine as it matures. 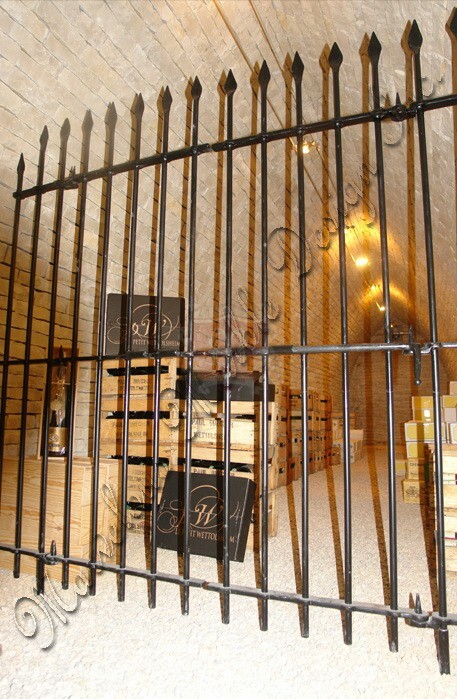 This Gothic Design French Limestone Wine Cellar gives you the perfect storage space for your vintage collection of wines. The cellar will allow each bottle to reach its true potential. 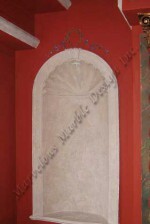 As the name of the wine cellar suggests this is a product that is crafted from French limestone. Not just any French limestone, but the very best. The limestone used to create this gothic designed wine cellar is of the highest quality possible. The veining on the limestone and the manner in which the grains are joined creates perfectly symmetrical patterns on the stone. The patterns have a nice flow to them. 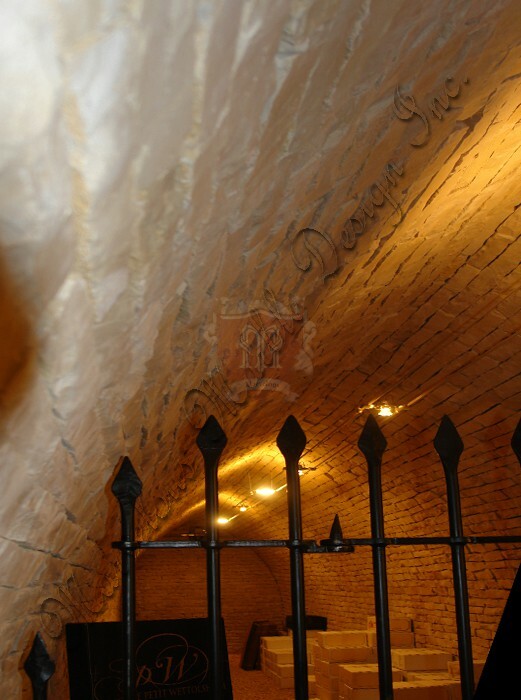 This cellar is made with the sensibilities of the phenomenal Gothic design. The design is pleasant, light and majestic. It will render your luxury home a place of piety and admiration. The strong pointed arch offers more vertical height and adds aesthetic value in the ante room. 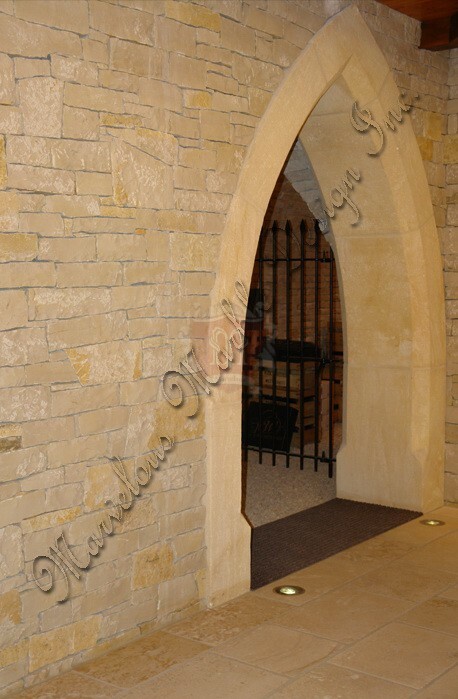 Install this lovely French limestone wine cellar to your custom built home and add to its resale value. 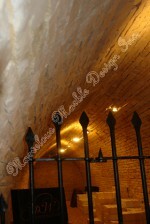 At the entrance to the cellar is an ornamental absolute black iron gate to welcome you. The gate can be locked to ensure entry is restricted to authorized individuals. This custom wine cellar will allow you to organize your collection making it possible for you to quickly and easily find the special bottles you want. Away from aesthetics, the quality stone used to create the cellar has unique thermal properties. The stone is able to provide temperature stability for the storage of all your bottles. 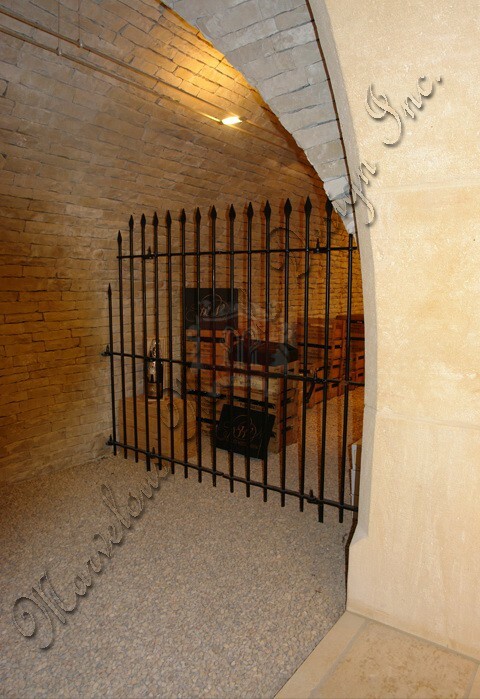 If you like this unique French limestone wine cellar can be used to impress friends and family in your custom built home by hosting home based wine tasting sessions. 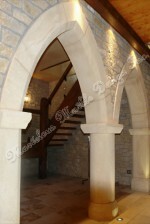 This Gothic Design French Limestone Wine Cellar offers much more than any traditional wooden wine cellar. With this cellar regardless of the age or type of wine, all bottles in your cellar will enjoy the benefits of good storage. 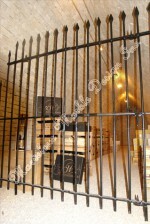 The cellar comes with an overall size for each opening of (W X H) 60” X 90”. Custom sizes can also be created. 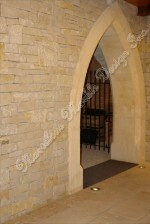 To learn more about this Gothic design French limestone wine cellar, please call us at 1-888-272-0630. Overall Size for each opening: (W X H) 60"X96"